We offer distance learning as well as in person classes at Wu Healing Center in West Hartford, CT and Emerson Hospital in Concord, MA. We also offer intensive Tai Chi or Qi Gong Immersion to Wuyi Mountain, China. All rates include unlimited classes every month. Introductory Rate: $32.00 for 30 days. Monthly Rate: $93.59 for one month. Three Months: $229.72 for 3 months. Twelve Months: $829.53 for 12 months. View special events and workshops on our EVENT CALENDAR. A closed Facebook group for Wu Healing with Dr. Ming Wu. ✦✦✦ 8 Classes weekly which you can access anytime. ✦Wednesday 8AM Morning Qi Gong for Ying Qi and Wei Qi where you learn how to use Chinese herbal medicine for self-healing. ✦Saturday 8-9 AM Qi Gong practice. Click here to join Wu Healing Group! Learn ancient forms of Chinese medicine from the comfort of your home — on your own time, and your own schedule. Each of the following disciplines is offered as an individual course in itself. External Medicine is included with the Herbal Medicine training course, and Long Distance Healing is included with the Fengyang Qi Gong training course. • Fengyang Tai Chi — Dr. Wu will guide you through all the individual Tai Chi movements and forms through high quality and detailed instructional videos. You will cultivate inner peace and calm through the slow movements of Tai Chi. Dr. Wu’s article has all you need to know about：Health Benefits of Tai Chi - Why 250 Million People in the World Practice Tai Chi Today? • Fengyang Qi Gong — Learn to harness your inner energy for powerful healing purposes. You will learn how develop your Qi, and how to heal yourself and others with this powerful inner energy. Dr. Wu will guide you step by step via video. • Herbal Medicine (herbal mixtures and preparations). You will learn the medicinal properties of different herbs, how to combine them, and how to use them to treat specific diseases and conditions. • External Medicine, included w/ Herbal Medicine (powders, creams, and etc.) With your knowledge of the properties of different medicinal herbs, you will learn how to prepare them and create medicinal powders, creams, and more that can treat all kinds of conditions. • Long Distance Healing — Through the principles and energy you will have developed through your Qi Gong training, you will learn how to transmit your Qi and heal others at a distance. This powerful form of healing is just as effective as in person application. • Tui Na Acupressure — You will gain a complete knowledge and understanding of the different acupressure points & meridians across the body, and how to apply gentle (or hard) touch to them to alleviate a whole host of conditions, or cure them entirely. Learn how to use the Fengyang TCM Qi Acupressure instant pain elimination technique to relieve knee, neck, shoulder, hip, low back pain and more in 3 seconds only. • High End Healing Teas & Herbal Infusions — To accompany your knowledge of medicinal herbs & plants, you will learn about different kinds of teas which can be used for healing and how to use them. This includes herbal infusions & teas from the tea tree itself. You will take that formula and apply it to 10 family members and friends, including yourself. As you practice what you learn, you will record your observations and put together miniature “case studies” for each person you treat. When you are finished, Dr. Wu will review your case studies, and pass you to the next lesson. There is no “grading” system for the Fengyang Tai Chi + Qi Gong training courses, due to the “free flow” nature of those arts. 1. Access to all online training resources (instructional videos, articles, etc.). 2. Step by step, hand in hand instruction through each lesson and topic. 3. Private Facebook group access-Wu Healing Group $45 monthy membership fee, where you can talk directly with Dr. Wu and all the other students (this is a major asset). 4. Live group coaching calls — Q&A sessions and personalized instruction. Join Dr, Ming Wu on a retreat to Wuyi Mountain China. Get Away. Relax, Rejuvenate & Renew.Choose between the “Customized Treatment” or the “Tai Chi & Qi Gong Immersion” packages. Wuyi Mountain is located in the northwest of Fujian province, a province in the southeast of China. Mount Wuyiboasts an altitude of 7,000 feet above sea level and is a world UNESCO natural and cultural preserve. The mountains are breathtaking. And the air and water alone is healing. Luxuriate in Comfort and Safety. The newly built Fengyang TCM Center held its grand opening in October 2016. It is beautiful, modern, comfortable and luxurious. With 13 rooms, ranging from suites to singles, all with en suite bathrooms. Set below Wuyi Mountain in an opulent resort village, its grounds overlook the river. Sit outside amongst the many private and special places. On a bench, at a picnic table, under the Pagoda, or on the spacious deck. Pick and enjoy the fruit from their own fruit trees. And just take in beauty, serenity and peace. You’ll enjoy three meals a day. Prepared by their own personal five star chef. Enjoy the authentic local cuisine. Sourced daily from local organic farms, or wild harvested from the surrounding area. This is farm to table at its best. And daily river caught fish from the pristine river that runs through the resort and wraps around the Center. And that is hook to table. 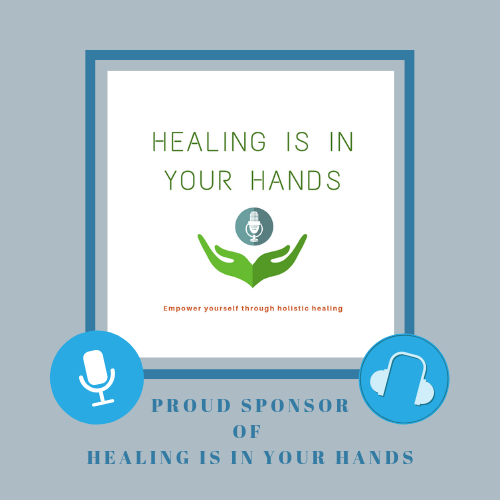 We invite you to join us as we share our stories, laugh, educate, inspire, and provide you with tools and information so you can make informed wellness decisions in your life and put the healing power back in your hands. We offer information about various holistic therapies, meaning we consider the whole person -- body, mind, spirit, and emotions. We have engaging segments like our meditative moment, healthy lifestyle tips, distance healing and more. Our guests will share their expertise, stories, and insight into many aspects of holistic healing, and tools that worked for them. Tune in! Join Wu Healing Group and we will send you a complimentary gift: ancient tree Wuyi Oolong tea level 1 (1oz) ($25 value)! Oolong teas (also called “wulong”), are processed according to a three centuries’ old tradition. They undergo partial oxidation before being twisted or rolled. This tea is from hundreds of years’ old tea trees in the Wuyi Mountain in China, a natural environment with clear air and clean soil. This tea has a woody and fruity flavor, very pleasing to the palate. Wu Healing Group is a closed Facebook group for Wu Healing with Dr. Ming Wu.